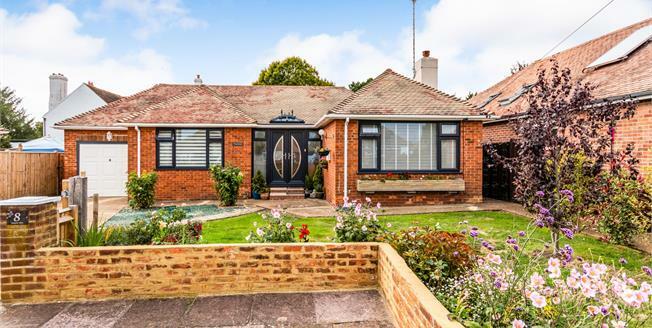 An immaculately presented detached bungalow situated in a quiet cul-de-sac. The property internally has been lovingly modernised and offers two large double bedrooms, spacious hall way with skylight, a large lounge with feature fireplace, family bathroom with separate WC and a kitchen/breakfast room which leads onto a well manicured rear garden where there is plenty of outside space to enjoy with friends and family. The property also has off road parking for several vehicles and a single garage. Agents Note: Under section 21 of the estate agents act 1979 we confirm that the vendor of this property is an employee of Countrywide PLC.